I love that you can easily buy modifications from the marketplace for niche use case scenarios, and if not there are developers that are very knowledgeable of the product so custom functionality isn't a problem. You can also look for themes and they are usually accompanied by a setup/installation guide so if you're not a developer/designer, using this software is a real consideration. I find that developing for the platform is a little cumbersome, though this is probably the worst thing about the product in all. Customisation for admin options aren't well documented for the developer community that I have seen, though there are some paid for solutions that blow open analytics and other tech wide open for you in the back end when it comes to looking at sales attribution and use studies of customers on your site. I'd recommend this software to people that are looking for a cheap venture into e-commerce. There are better paid-for solutions but if you have someone knowledgeable enough to modify the software in house then this is definitely and cheap and effective solution for your business options. We wanted to take the step into e-commerce at a low cost. We've achieved sales on the site and an average of 3,000 organic search per month alone. Along with Google ads, we've managed to get user input to help shape the site and continue growing in to a competitive retailer in our sector. "Opencart is a stable, fast, developer-friendly shopping cart platform"
Opencart is 100% free open source software. Its really free. The framework is fast, stable, secure, and follows modern web development principles. It uses an MVC architecture on the backend, and has bootstrap and jQuery ready to go out of the box for the front end. Its extension marketplace allows users to expand functionality cheaply. I often use it to develop non ecommerce applications simply because its so feature rich, it can speed development time greatly. Opencarts lack of documentation is a major barrier to adoption. As free open source software, the developers who do work on the project concentrate their time building features, not making documentation. When I began using it there was no training or educational materials available. I had to teach myself. I have personally created a Udemy training course to fit that market need, and have seen success with it. Opencart is just a php framework, so you can build anything you need to build, provided you know the language. I have built everything from employee scheduling software, timeclock software, sophisticated data entry and reporting tools, even gps tracking of vehicles on the framework. I like how customization OpenCart is. There are hundreds of addons, and if there isn't one that suits your needs, you have full access to the script to make your own. It comes preloaded with lots of options and features. There are lots of free ones, and the paid addons aren't too expensive generally. It's easy to setup, only taking a few minutes to configure. Updates generally aren't too difficult (Though this does depend upon the number of addons you have). It's being actively developed as well. The scripts are being improved, and kept up to date on the latest web technology such as using Bootstrap 4. They think forward, to make sure that OpenCart stays relevant. There are too many features at times, making the admin section of the site rather crowded at times. It's not easy to hide them either, without editing the html. The new template script is rather annoying now as well. It complicates things at times, instead of making things easier. Long developmental process can be difficult at times. More frequent updates would be nice, instead of yearly larger ones. It's lightweight, high customization, and looks great. It's not too difficult to code for either, making it a great e-commerce solution. With how easy it is to create your own addons, I'm able to create a store that better fits the needs of the company. Not every store has the same needs afterall. With OpenCart, you're able to make a site that is tailored to you. "a fast platform for shops"
OpenCart is free to use as its opensource software available. Its flexible and very easy to use. I can upload Products and create categories easily no programming skills required. I can also upload bulk products and categories in OpenCart by using free available extension. Its also easy to connect with API's. its also easy for website users to navigate the site and customer interfaces with all features. There are few things which i dislike about the OpenCart. When ever new version comes in the download list that comes with some bugs. Extensions should not be faulty most of the time installation of third party extensions also generate some errors. Opencart is better platform and the developers are making it much better day by day new releases , my recommendation would be make it more fast and seo friendly without needing plugins and it would be better if opencart can have hosted version on their domains so some buyers prefer signup and use the system. I have large number of clients asking for Better eCommerce platform and i feel opencart is the best foremost reliable platform easy to use admin panel , better plugins available and best part is its free and open source . "Easy to Use, has limitations like everything else." OpenCart is easy to use. It has a clear layout, easily identifiable and logical menus. It is a free download, and the add-ons are inexpensive, so it is good for small businesses and people who have multiple stores. It is easy to setup multiple users with different logins and rights, from full Admin to folks that can see invoices and information they need, without having rights to make changes anywhere on the store. It can be glitchy at times. You make changes, and the next day it reverts back. Some features that are add-ons should be standard. I wish there were better reporting options. OpenCart is a good platform for any ecommerce store. It is easy for all users from admin to sales rep.
We have 12 open cart stores, and OpenCart makes it affordable and easy to use. We can get everything we need and create 1 store the way we want it, then copy it to use on another so we don't have to reinvent the wheel with each store. "Easy to setup and fast learning curve"
You can easily customize the features or write a module to extra features that you want to have in the website. Templating is pretty easy and you can create best looking shopping cart in no time. I have tried Magento, Prestashop and comparing to those, you can easily setup and give the admin access to anyone who has less experience in e-commerce environment and they can easily pick the process of it. I would highly recommend this to anyone who would lik to have their shopping cart built with elegance. Lack of default features. As an example, Opencart does not have quote requesting feature by default. If you are planning to build a toursim kind of a shopping cart, you have very less features to support. This cart is meant to do simple e-commerce things unless you plan to create your own modules, or purchace modules. I would highly recommend Opencart to anyone who would like to build an e-commerce site. It is simple and easy to build, customize the features. Templating is pretty easy and you don't need to worry about any complicated templating. Building simple shopping carts with basic cart layouts. Easy setup and changes are the benefits that I can come across. "Easy to install - but so many problems for maintenance and support"
At least it's open source, and seems to get frequent updates. It's completely hostile to 3rd party developers. Updates - even minor version updates- can completely break things. The use of vQmod means that the code you're looking at might not be what's running under the hood. I have written about the issue of Not Upwardly Compatible changes being made to OpenCart. I wish I could get them to see how harmful it is. It's a shopping cart implementation with a nice front end template, so there's some value in that; it's just hard to maintain. "An excellent online store platform for a beginner/self-employed"
- Completely free, I can't recommend more for a beginner or cost saver business owner. - Flexible package - It comes as a complete online store with every system and everything. But I didn't want all that so I just edit, omit, or add anything I want without a solid coding knowledge. There is hardly a thing that I don't like about this product. But if I have to write about it, I would say the lack of ability to update. Opencart launches new versions from time to time. But once you install a version to your system, editing it, and start running, it is very difficult to update your web to the new release. Using this software to create an antique website. It is incredible. I love it. I have over a thousand pieces of antique but I didn't want to manually add each product via the admin page so I import the spreadsheet list to the mySql database and it works great. Now I'm trying to connect Google Sheet with the mySql but still not live yet. Let's see how it goes. "Free shopping cart software that gets the job done"
It's free. It's also very customizable. There's plenty of paid addons that can customize product pages, reporting, and add additional marketing features. There's also plenty of user support on forums. The updating process is not very good. It's necessary to keep up with the latest updates for security but doing so can be a chore. There is an update feature built into the install files, but it's unreliable or takes extra steps to make it work. This happens regardless of using additional addons or customizations. The good news, is that there's plenty of help forums that can help with the updating process. I wouldn't recommend opencart to users who aren't knowledgeable of PHP, CSS, and HTML. While Opencart is free to use, you'll probably have to spend some of your budget on its user created Modules. It offers basic functionality and customizability, but you'll probably find that you need to use these 'addons' depending on what type of products you're selling. I've used opencart for about 5 years now and have saved quite a bit with it being free. Most other shopping cart solutions will take a few points off each transaction and that can add up. is very simple and intuitive to use, even for those who do not have a great experience. You can add the products and their variants (it also depends on the type of product), create categories and subcategories to index the product range. In addition, thanks to journal themes, your website can be customised in colours in the menu layout. You can customize your site in every aspect, but to do all this you need to buy and install extensions, resulting in delays in loading pages. Best thing about OpenCart is it is opensource. Not only the system but many of the plug-ins are easily available and easy to configure. It doesn't require much effort to configure and develop e-commerce site around it. Also to add debugging is also quite easy in opencart. Admin interface is user friendly. Not to forget it is light and fast and doesn't have any unnecessary features and most of the basic features which require to kick start business. It is not fully SEO enabled I would say. Also there are certain limitation with the business size as business grows it could be difficult to run smoothly. Public forums are not active so in case of any trouble you may need to wait for longer time for response so better to work with experienced team. Again it is one of the best as it easy to install , opensource, easy to configure and build and most of the plugins easily available.Also to add debugging is also quite easy in opencart. Admin interface is user friendly. I was working on e-commerce website which is receiving order of Photo Frames & customized photos printed on canvas Also company was selling customized tshirt and yoga dress mad of Bamboo material. As it was start up we were sure that it will take time to gain more users so initially we did't need to invest more on development and we were able to use successful mostly with free plugins and modules. "Great...but can be complicated to setup, extensions can be expensive and support is limited"
OpenCart, at it's core, is a free and relatively easy to setup. It's incredibly feature-rich and will absolutely do everything that you need because of the availability of over 13,000 Integrations and Add-ons. It's a bit ridiculous...in a good way. The core of OpenCart is free to download, use, and upgrade. However, many features that you may need could only be available via a module...and many of those cost money. It's also an advanced shopping cart and you will need to feel comfortable setting up and managing your own hosting and highly technical shopping cart with VERY little support. I’d recommend OpenCart to small and mid-size companies on one condition: you must have web experience. If you don’t have any relevant experience, it will be necessary to hire someone who does. It's "FREE" which is great. Cost is always the first benefit that can be had when using open-source software. "Opencart is a good option for moss small and medium sized proejcts"
The fact that it's free and open source. It's also been around for a long time so there's a large community of users who can answer questions about development. There's a lot of plugins available and there's a lot of flexibility in developing your own plugins. The documentation is very good and the actual codebase is very high quality. I don't like the fact that it's primarily based in PHP, although that's not an issue for most developers. I don't like the fact that updating can be cumbersome. Some of the plugins in the marketplace are buggy and have security vulnerabilities, so it's important to do a security review of each addon. Being able to run an appliance rental business that charges customers monthly. The benefits are that it was very easy to customize Opencart to achieve the business goals/needs. There were a lot of plugins available that cut down on development time, especially with respect to checkout. "superb software and one of the first software to provide end to end shopping experience "
Having to learn PHP which for me was a step back, it wasn't until I got the basics down and contacted a OpenCart Partner that it made any sense. If you're looking for complete control over your e-commerce shop, integrations to over 30 payment gateways, you can build a high-end sleek looking store for a few hundred pounds. I would recommend talking to a professional OpenCart Partner, once you've got your plans as it will help refine and tweak everything to work as you want it on the front end. We moved to OpenCart due to a module that allows us to manage orders from eBay and Amazon within OpenCart, so it was really good to have it all laid out from there. "Great it's all open source, but poor code quality"
Great you get the full source code and can modify and customize it to your needs. Healthy eco system of available plugins and themes. Great that many of them are available for free with source code fully published. It allows you to really fully customize it per your needs and change as little or as many things as you like. Quality of the source is rather poor which makes extending/customizing it a hassle. Code snippets are copy/pasted all over the code. The quality of available plugins and extensions seems higher with other eCommerce platform, however they share you more as well. So it's a typical case of "you get what you pay for" and one needs to weigh costs of purchasing a plugin/extension vs. investing money in development of your own. Review the source code first to know what you're getting into. Building a customized ecommerce platform. Benefits are available integrations with other platforms/APIs. "Pretty Good but not the best"
The overall functionality seems good and adequate for most start-ups, but lacks more advanced functionality if you want to go enterprise level. Please note my review is based on the version of Opencart back in 2014. The layouts and themes; It's too outdated, still looks like shopping carts from the 2000s, Please note my review is based on the version of Opencart back in 2014. "Solid small scale shop CMS with easy template design"
OpenCart is focused on an easy to understand, yet powerfull shop admin, and the customer shop experience. You have the payment gateway via Paypal in place from start, product variations and more. Products is per default displayed very straight forward. The template system is far easier to work with, than for example Wordpress with Woocommerce. The plugin and template market does not seem to have as many professional developers as for example Wordpress. I do not have much time for shop development or management, but with Opencart it is easy to get started with a self hosted solution, and easy to take ther shop further when I find the time. OpenCart is easily Installed from a folder on your PC to the root of your server. If your webserver has softaculous as a web installer it's a simple few step process. Ease of configuration and setup, real easy to apply a theme and get started on honing your own look. OpenCart can be as big or as little as you need with regards to the amount of features used and stock showing. There is a vast amount of both free and paid for modules and add-on. Easy to follow step-by-step guides if you are interested in learning to manipulate the code yourself. A few unfinished features, or areas that do not get a very description or support. OpenCart tried implementing a modification engine of it's own, only to leave it short of an add-on engine that was working great with lots of supports available. Now we have on site with three modification engines running in it. There seems to be undocumented changes between versions, changes that have broken parts and cause other add-ons and modules to stop working. Arrogant and dismissive support from main developer. Confusion and infighting within the development team, that leaks out into the wider support forum. No clear and consistent guidelines on development of add-ons and modules leading to small developers doing it their way. That just does not fit with the platform as a whole. Offering Handmade products to a wider customer base. Gaining a working knowledge e-commerce platforms and website design. Virtually cost free implementation of a substantial e-commerce platform. Good learning ground for basic website technologies. "Good. Could be much better though." The code is well constructed. And that it has well designed admin panels and useful features like guest checkout. Lots of options for payment gateways and shipping methods. The product is appropriately priced. It has a large ecosystem of third party themes and plugins. Support for Bootstrap 3 is an added bonus, making it compatible with dozens of fonts, styles and templates. The codes and extensions have some real issues with security. The module system is complicated. Lots of manual interaction needed while configuring the administration interface. Developers have really bad attitude towards users who want to improve the product. Keep in mind that the ecosystem of free plugins and themes is very limited. Be prepared to shell put a considerable amount of moolah on plugins and themes if you need out-of-the-box customization. Alternatively, you can get the same developed by an in-house team as well if it gels well with your business idea. We are running an online e-commerce platform for a local electronics goods retail outlet. We wanted to expand our customer base beyond our geographical service region and OpenCart has helped us a lot with that. The biggest benefit is that we are moving inventory faster and stocks are being cleared at a faster rate with online sales. It also helps us cater to the holiday shopping rush better. Opencart is a great platform with a simple to use and intuitive admin dashboard. The platform allows you build it out to anything you want because it is an open source platform. There are thousands of free and paid plugins available that can be added to the platform to make it what you need. The code is easy to follow and understand so modifying themes and creating new ones couldn't be easier. You can have a fully functional eCommerce solution running in no time without having to code once from scratch. The Opencart community is great and helping to make Opencart a safe and widely used open source platform for all businesses to use. The only thing I "dislike" about Opencart is that I wish there were more built in features when it comes to having inventory for different colors and size parings. It is a common request and there are ways around it but they aren't as clean. When you take in the admin dashboard and the ease of use, this "dislike" doesn't seem too bad. Opencart is a GREAT eCommerce platform with a very easy to use dashboard. It is great for businesses of all sizes looking to sell online. The biggest problem I am able to solve with opencart is making services and products available for purchase 24 hours a day and 7 days a week. "Great Platform for small businesses"
Version 3 is a game changer. Though I haven't fully explore the twig concept, I find it difficult if I am an Adobe Dreamweaver coder where ftp put upload is no longer the way forward. Making the product options has their own SKU, images, independent pricing as a default would be a better idea. "Easy to get in eCommerce platform"
Easy to follow code structure. A big community and huge amount of modules. With 2.0 release I`m looking forward to the hooks. The easiness of doing custom templating and tweaking for the end client is one of the main reasons we use OC on the smaller products. Also it is quite easy to take over someones else work (who are in software development will understand what I mean:). Daniels (the owner/lead dev) approach sometimes is stubborn (therefore not all the good development ideas are being implemented). With the move from 1.5 to 2.0 quite many old modules are not compatible. Also currently there is a mess between the OcMod, vQmod - ways how to make changes to the files (core files f.e.) without actually rewriting the code and loosing the future upgrades. Performance for bigger shops (we have with 40k + SKUs) needs extra work (but not so much). Using OpenCart we delivered ~20 eCommerce solutions from really custom few products shops to big scale (40k SKU) projects. For bigger projects (100k SKUs and more) we write custom solutions. Using OpenCart it is easy to include a new junior developer in all the processes. Also it is a great learning environment to understand MVC. "I've been using OpenCart for my e-commerce site for over 3 year now"
OpenCart is fairly simple to use and still doesn't lack most of the features other platforms have. For me, it was this balance of simplicity and functionality that made me choose OpenCart in the first place and now even keep it when upgrading my main site just a couple of months ago. Additionaly, OpenCart has decent themes and plugins built for it and is also easily customizable. It feels like OpenCart used to be more popular and nowadays many of the plugins are outdated. Also main OpenCart web site looks really old and doesn't help it's popularity. Code is not a disaster but customization and plugin building should be even more simple. OpenCart is a well balanced e-commerce platform with lots of functions yet still great ease of use. I have an e-commerce web site in Slovakia. I had to create some of my own plugins and customize OpenCart to fit my needs (i.e. connection to local postal company). However none of this was a huge problem and I have even managed to release some of my work and Open Source plugins. I intend to do more work like this when doing further improvements. "An excellent tool for small and medium business e-commerce"
Opencart is a very simple tool to use, ideal for small and medium projects. Its main feature is the multi-store that can have several channels on the same instalation, this allows organically grow companies that manage multiple brands. We have implemented solutions with 10 simultaneous channels and works biem. Another important feature that stands out in OpenCart is simplicity for extend its core through PHP. It has a very simple development pattern (MVC) and pretty neat that allows developers to incorporate a new project quickly. Your data model for managing product options is not good. Moreover your data model is not well designed for enterprise solutions. Another problem is when e-commerce have a growing volume of information, Opencart not is falls short and Its development model Becomes very simply. Opencart is an excellent solution for small and medium businesses. its main benefit is its simplicity when extending its core. We implement solutions primarily for the retail sector with in opencart multi-store configuration, reaching over 30,000 sku, with an average daily traffic of 25,000 visitors with good results. "Great e-commerce solution for start ups"
Definitely the best feature is that it is completely free to use. The developer community is active and there are a large number of tutorials online. The extensions can be fairly expensive and there is often a lack of functionality and this may be an issue for larger businesses..
OpenCart is being used by many shops to quickly create an online shop with very little effort - this means many small businesses are able to create and manage their own shops. "Good for e-commerce sites that need customization"
The job I use this for is at a fabric store and we sell fabrics in fractional yardage quantities. Someone might buy 1 3/8 yd, for example. We were able to have a custom code written so that we could input the price per yard and allow the customers to order fractions of that price. It's not super simple. We had to have someone else write the code. It's also a little tedious sometimes because there are so many pages of information. I wish there were a "quick edit" option to just enter price, color, specs; just the simple information. There's also no bulk edit option, so you have to use plugins. And that's a pain because they don't always work correctly. look at bulk editor/uploader plugins because it's pretty tedious otherwise. It's the only option I have found that allows for fractional quantities while ordering. We also started using it for class registrations. We used to use an event management platform but it did not meet our needs. "Very good shopping cart service"
It looks very professional and there's a lot of great and easy to use features. It is also free. It is very nice for a small or startup business to try this out for free while getting a hang for it. While it is free, it looks very nice and professional and honestly looks a lot like many of the other not free products out there. I clicked on the review for OpenCart but this one kept popping up. So my review is for the software OpenCart. Opencart comes with the option of integrating a number of different design themes to give your site its own distinctive look. The feature i love is its open source completely free . You just need hosting and you are all done , easy to setup and use no core coding required to manage its easy to manage . Feature i dislike is it requires lot of plugins for big brand sellers to make it high level selling store and that costs lot of money . Small to Medium Stores i do with opencart as they are startups. The possibility of write in little to no time plugins and new themes without any extra effort. In addiction to this, the setup and configuration of the whole platform on a LAMP server is fast. The power of Opencart is in its simplicity, you are free to expand or change whatever you want in the platform, with two main stable releases you have almost two different systems to choose. Consider looking for regional communities and good developers, inside or outside Opencart world. Small and medium business with the main propose of selling and secondary ideas like news, online catalog, informational content and even quoting systems. "Integration of payment gateway in Opencart"
Integrating a payment gateway is easy. Also, Opencart-2.0.3.1 is much user friendly comparing to previous version. Creating an online store is much easier. There are several opencart plugins available according to the requirement. I have created my own payment gateway plugin and it is easy to install. Upgrading Opencart v1.5 to v2.0 involves lot of code changes. 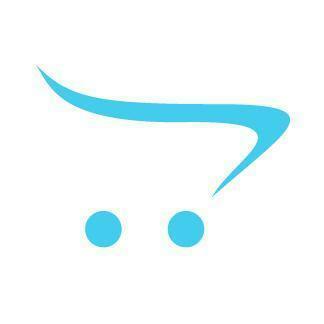 Opencart has several payment gateways - amazon, paypal etc. But i wanted to integrate the mobile carrier billing solution for small digital goods. For small amount, you don't have to go through net banking payment gateway, we can easily pay by entering the mobile number and the rest of the process will be done at our end. 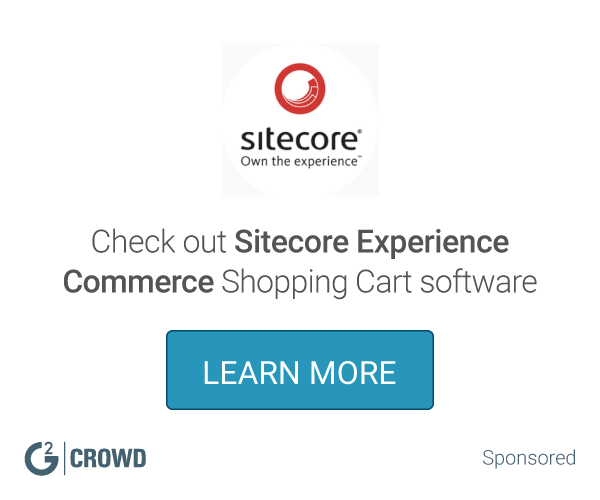 "One of the best open source e commerce systems"
The ease of use and configuration. You can set a site up in a few hrs and begin selling. The extension integration. It can get kind of wacky if you don't have some kind of support to fix it. Needs to be upgraded or integrate a plug in system like Wordpress uses and it would be perfect. Try it. If you need a great e commerce solution. Getting my products out to the public. The addons can clash with each other, but this happens on all platforms once you have more than 1 addon the risk is there. Great community of developers out there. List all the functionality you need that is extra and make sure there are addons for this. If there are not get some built and you can then sell these on the opencart market place and make you development costs back. "AWESOME SOFTWARE FOR ONLINE STORE!!" Awesome Software and easy to edit, free and powerful!! i love it as my online store is live and shining!! Sometimes breaks down codes and poor customer service. but all and all its powerful and awesome. I have had how to create online store, but since I came across this, all my problems solved and are powerful and moving forward!! "OpenCart is easy to work with, supports many payment integration options and is simply awesome." I like OpenCart's modern administration interface and the many payment integration choices available, which let's me customize the platform to each client depending on their needs and what payment options they can accept. Difficult to integrate into a theme designed with Bootstrap, which makes it less flexible to use if you only want to use a purchased Bootstrap theme without having to do a lot of HTML, CSS and PHP work. I use OpenCart to develop ecommerce websites to my clients, it benefits me by giving me a clear and straightforward way to implement a platform I'm experienced in working with and improving upon. Easy to use, and its very cheap, easy to update store listings, such a wonderful perfect design for on line point of sales. There is absolutely Nothing i dislike from these service, everything is just wonderful for me. I recommend all of you who are looking for store software, look no further, juts come to open chart your business will go live in just a click!! Selling my Hand made crafts was not easy at all till a friend introduced me to Open chart where i managed to put my store live and every one can have to see my products. "Light weight, fast speed, wide range of useful extensions!" Open cart is a light weight ecommerce platform, so the server load requirement is not high, can easily install and run it on a shared hosting. the management operating interface still needs some improvement. It's easy to install and use, plenty of beautiful theme, as well as extensions. Build online ordering platform for a 4x4 car accessory company Products management and order management is easy. Easy system for sale. You have many possibilities and options when you sell product. You have full control over orders. There are many ready Themes which are sold or are free with good design. I like the system. But there should be more free modules. "Opencart is one of the best Opensource Ecommerce PLatforms "
Opencart is Most extensible platform, It is quite light weight as compared to Magento . They release new updates / versions under the name of stable builds , when their previous stable builds are still buggy . "For our own webshop the best product you can use"
Easy to manage, great looks and lots of help, tips and addons available at the internet for free. So i can only recommend this webshop. Try it and you will be using it as well. What I do dislike is that the migration from my 1.x site to 2.x site could not be done automated. But I assume that it should be a part of 2.x. We want to sell out stuff on the internet. OpenCart is great to have for my webshop. Facebook we use to advertise to the world. Quick to begin without much hassle. A very limited technical knowledge is sufficient to set up store and start selling. It also has simple interface, light design and has advanced features that can be used when required. open cart versions and plugin versions. Is hard to find the plugins that are constantly been updated to work with the latest version of the opencart. Also the vqmod can be a pain sometimes. Set up a few of my customers on opencart initially but had to move them to different ones due to the plugins mismatch and themes being non responsive. This was mostly used as a catalogue rather than selling online. "Great platform for startup seller"
Current layout. Because as compare to other like magento it is very basic. Not good standard like other layout. Yes, I ask many seller to use open cart. Main benefit is easy admin side. Any new seller can easily find all details very easily. Like if you want to add product, variation, special discount then easily find in single panel. "I built a store using opencart and opened business using this great software"
OC has a simple codebase and thus is very easy to customize. However, customization is not based on development best practices. OC codebase is not build with testability in mind. Customization can only be achieved by code changes. E.g. one cannot switch of the wishlist feature like a module. Once customized it's hard to upgrade. Simple solutions, which don't require large scale changes in the codebase. "OpenCart is one of the most easiest and user friendly E-commerce CMS to use." One of the best things I like about Opencart is that its FREE! It's easy to navigate. So if your a first-time user you shouldn't have a problem using it. The only thing I dislike about OpenCart is that there isn't to much help out there when needed. But that rarely happens. One big business problem I am trying to resolve with OpenCart is acquiring customers and trying to improve my SEO so that my sells will go up. * We monitor all OpenCart reviews to prevent fraudulent reviews and keep review quality high. We do not post reviews by company employees or direct competitors. Validated reviews require the user to submit a screenshot of the product containing their user ID, in order to verify a user is an actual user of the product. Hi there! Are you looking to implement a solution like OpenCart?